At around 3:30 p.m., call handlers were made aware of two walkers lost in fog on Cader Idris. The man and woman, from the Welshpool area, had climbed the mountain via the Minffordd Path and having reached the top, took a break in the summit hut. On re emerging from the hut the pair became disorientated in the fog and called for assistance. Using the PhoneFind protocol to quiz their mobile phone, call-handlers were quickly able to identify that the couple had started to descend the wrong side of the mountain. Verbal instructions were given to steer the pair down the Foxes Path, and a small party of Team volunteers headed up the hill to intercept them. 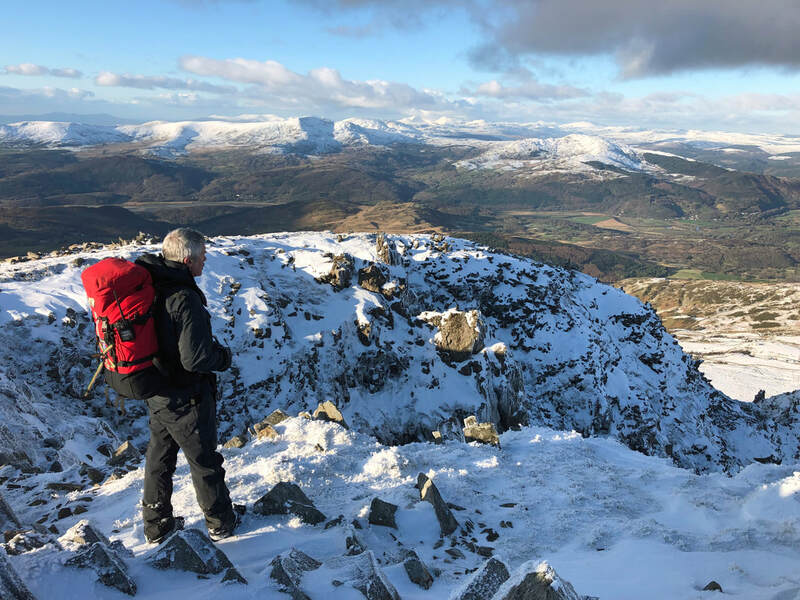 Everyone was safely off the hill by 4:40 p.m.
​In a prompt start to the year, at 7:30 p.m. on New Year's Day, call-handlers from the Team were made aware of a missing walker whose car had been located at the bottom of Cader Idris. The man, in his 30's and from Wrexham, had told family that he was walking at Barmouth but at night-fall he had texted to say he was lost. Having checked likely spots in Barmouth for his car, North Wales Police Officers moved their search to Cader Idris and eventually found the man's vehicle in the car-park at Minffordd. The ticket on his car indicated that he had been out on the mountain all day. With the prospect of a large area search, the Team was immediately called-out. Given the nature of the situation, Search and Rescue Dogs Wales were also requested to supply a trailing dog to help locate the man. As Team volunteers were making their way to the mountain, the man fortunately was found by NWP Officers, safe and well and walking back to the car-park. At 4:30 p.m. the Team was made aware of an abandoned tent on Fegla Fawr. The informant visited 7 weeks ago. He saw this tent and also saw a man, who appeared to be a bird-watcher carrying binoculars, in the vicinity of the tent but did not speak to the man and cannot be sure he was associated with the tent. Tent now has a lot of litter around it and no sign of a recent fire. The informant did not open the tent. Concerns were raised for well being of any occupant. A discussion was had with North Wales Police over what response was requested from MR, and it was agreed that an urgent night-time search was disproportionate to the situation. The initial intention was to send a PCSO to investigate in daylight but the team call-handler dealing with the call, and living nearby, offered to investigate the tent the following morning. The tent was found to have been abandoned for some weeks with litter, foam mat, duffle coat and tent having been chewed by animals. There was no signs of recent habitation. The tent and litter were cleared from site by the Team volunteer. 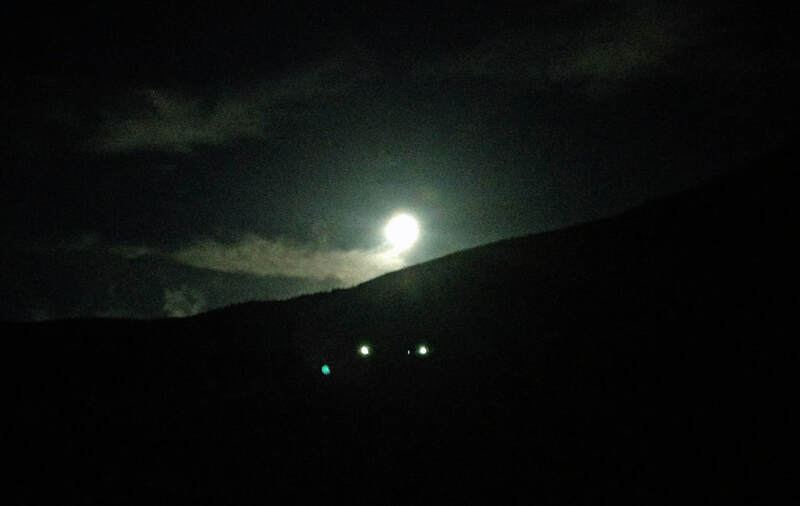 Concerns raised over an apparently poorly equipped male with dog walking up Cader Idris on the edge of darkness. The gentleman with his dog were heading up the Minffordd path and were encountered at the Slate Bridge at around 4:00 p.m. The Informant called police as she felt he looked "down beat" and with the limited equipment he was carrying it raised concerns in her mind. The female holiday-maker had left her accommodation late to climb the mountain. Being poorly equipped and inexperienced, the woman became lost and rang for assistance as night fell. As the Team was gathering information , a local farmer drove onto the hill on a quad-bike and quickly located the woman. Shortly after 11:00 a.m on Sunday 21st Oct, Team call-handlers were alerted to a woman reported to be having a panic attack in the summit hut on Cader Idris. With the forecast low cloud, wind and rain well established over the peaks, the woman, in her early 40's, had become anxious over her predicament; with no map or compass to assist, the woman and her brother were unsure in which direction their chosen route lay, and rang for mountain rescue assistance.